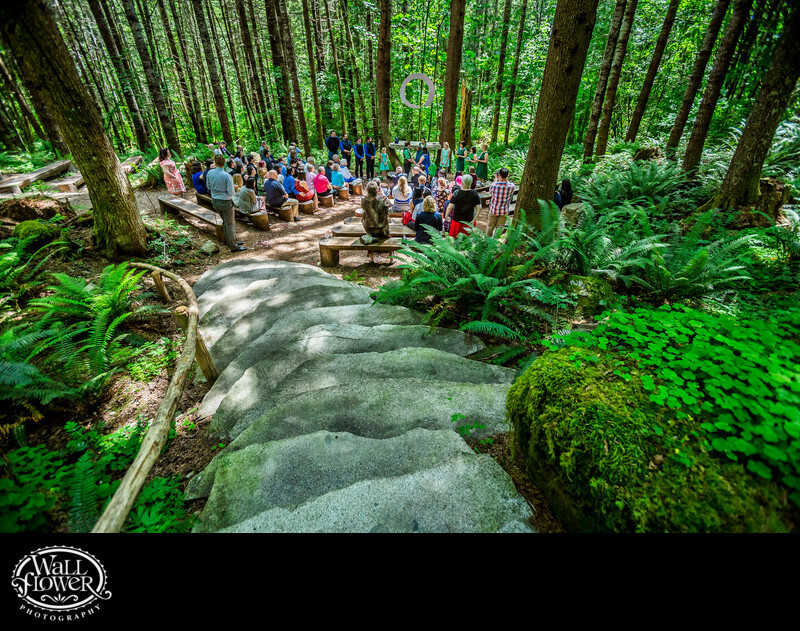 This beautiful forest amphitheater is a short hike from the cabins and picnic pavilions of Wellspring Spa in Ashford, Washington, a small town just outside the gates to Mt. Rainier National Park. The stone staircase makes for a terrific entrance for the bride, and the circular metal sculpture hanging above the ceremony stage provides an interesting accent over all the lush green vegetation.